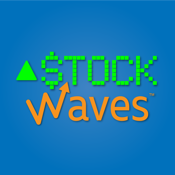 Stock Waves is a premium service within our Trading Room at ElliottWaveTrader.net focusing on trading opportunities in individual U.S. stocks. It features wave analysis by Zachary Mannes and Garrett Patten, who provide: An extensive Coverage List of U.S.-listed stocks , Chart work-ups throughout the day on member-requested stocks , Earnings Calls analyzing potential movers during earnings season, Weekly Live Video review of member-requested and analyst-highlighted stocks, and Periodic Special Updates on baskets of stocks. Email notifications are also available, as they are with all our services. Periodic Special Updates on baskets of stocks. Email notifications are also available, as they are with all our services. Caterpillar: Set To Drop, Do Cats Always Land On Their Feet? Is It Time To Bail On Sony? Just How High Can Solar Go? Amazon: Is There A Top In Sight?